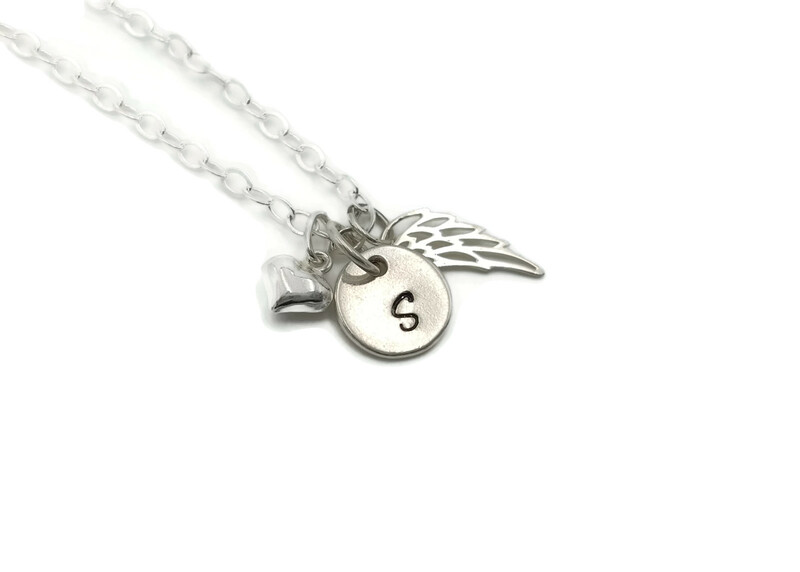 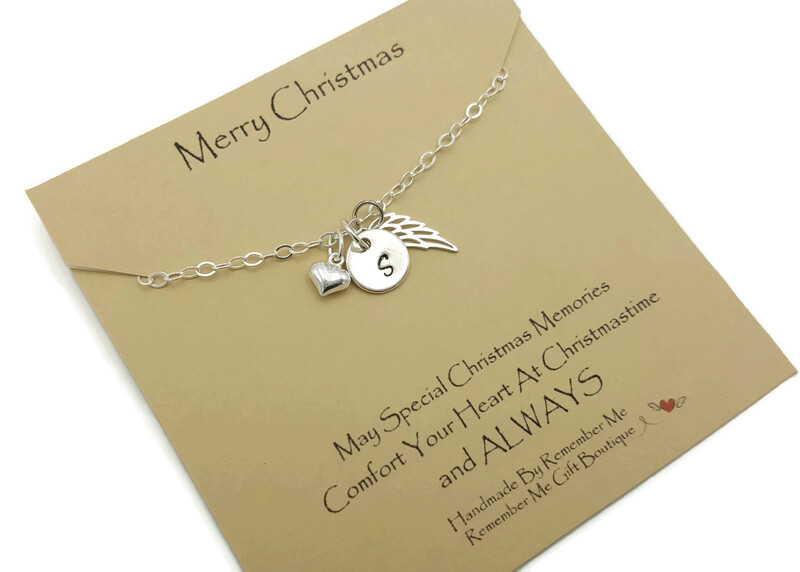 This beautiful "Merry Christmas from Heaven" necklace features an 18" sterling silver cable chain, a tiny angel wing charm, a sterling silver disc hand stamped with the initial of your choice, and a sterling silver heart charm. 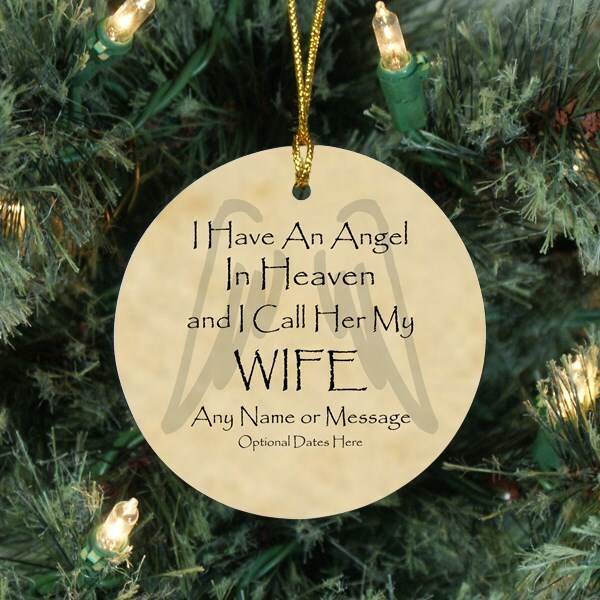 This necklace is packaged with a gift card "Merry Christmas from Heaven" and a gift box. 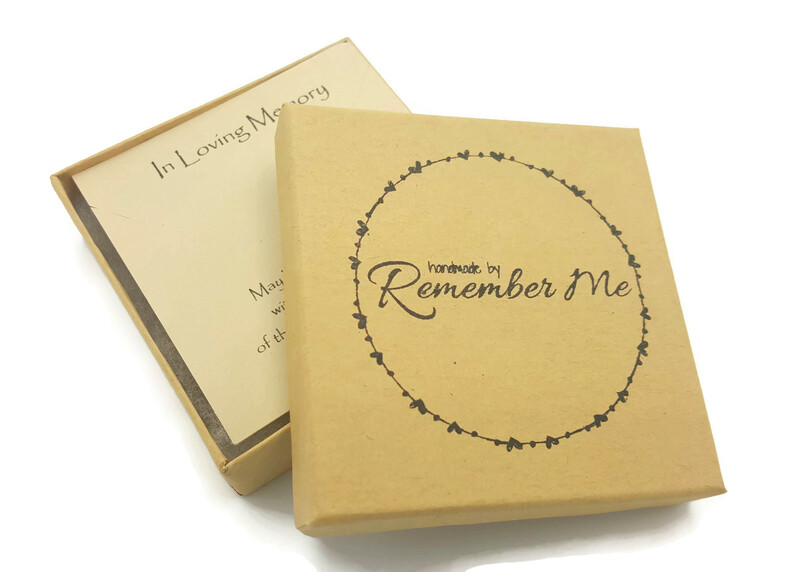 A perfect Christmas Memorial Gift Idea for someone who has lost a loved one this past year.